Idea? Check. Capital? Check. What's next? So you’ve finally decided to launch your own business. You think you have a great product or service to offer, and you can already visualize how to touch base with your future customers. While an optimistic and determined attitude can have a great effect on setting yourself up to do business, there’s much groundwork to be covered. Think of several names that will best suit the nature of the product or service you want to offer. The simpler and more straightforward the name is, the more people can relate to it. Consider your niche market when deciding on a name. You wouldn’t want to alienate any portion of your target market. To help you decide, conduct a survey on which among your shortlisted names has the most recall. Treat it as a market analysis or a focus group discussion—it’ll help you get a better grasp of what your customers actually want. After identifying your brand name, double-check whether there’s another business or organization that is using the same name. Visit the Department of Trade and Industry’s (DTI) website and use the Business Name Search to do this. Once everything is cleared, register your name and file the necessary business permits to safeguard ownership of your brand. Many online businesses skip this step to save time and money, but it’s the first step to making your business legitimate. Hire a designer to bring your brand name to life, or better yet, create your own. If you want to take your brand identity a notch higher, check out and subscribe to Lynda.com, where you can access thousands of design tutorials, including several courses on logo creation and design software configuration. Your design should appeal to different types of audiences, especially your target market. In addition, note that effective branding does not end in the creation of the company logo. Your goal is for your customers to easily associate your branding materials with the product or service you offer. An organizational structure helps you envision an ideal workflow. Online start-ups have the flexibility and convenience to undergo a trial and error process when laying out the best structure that would suit your business’ needs. Start with clustering several job functions into one position while you’re still testing the waters of your market. For online businesses bent on selling products and services, one person can juggle sales and marketing roles, and another can handle operations and logistics. If customer service and feedback are your priorities, have someone who will handle customer concerns early on. To save up on time and money, outsource functions with seasonal tasks such as accounting, tax filing, and web design. If your business’ direction is clear among all your stakeholders, they will be more committed to help your brand grow. Once a formal structure is in place and job roles are defined, it is time to scout for candidates who can fill in different job posts. There are various sources of talent pools accessible even to small enterprises, but considering the budget constraints faced by any new business, being creative is the most convenient option when recruiting. When job descriptions have been finalized, exhaust your own network first and ask for referrals from friends or relatives. You can also browse relevant social media accounts and websites for talent leads. Behance.net and TalentZoo.com are good sources of creative talent pool, potential business leaders can be found in LinkedIn, while Kalibrr.com attracts candidates who are inclined to business and knowledge process positions. Getting the word out about your brand should be top priority early on. Creating a website and social media accounts for your business is a cheap but effective way of marketing your products and services. Fact: 72 percent of millennials check online before they purchase anything at a physical store. In addition, online retail revenue has consistently soared year on year, at a rate of 13 percent annually, since a portion of the aforementioned 72 percent would proceed to buying the items they’re researching on online. With Shopify and Globe myBusiness, you can easily build your online presence. 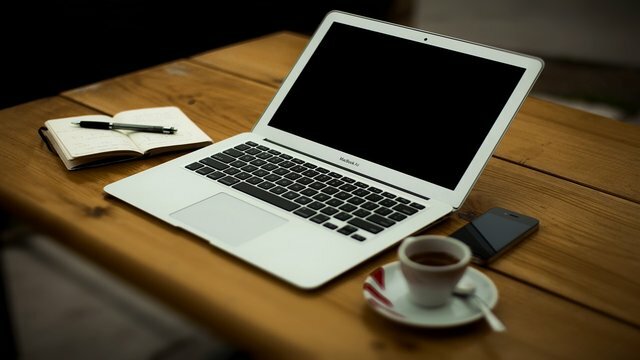 Setting up an online store is a breeze compared to the traditional business set-up that entails location hunting and construction, which could limit the market you want to target, and paperwork processing and transacting with government offices, which are both time-consuming and inconvenient. All it takes is a visit to https://www.shopify.com.ph and signing up for a free 30-day trial. Aside from building an online store front, you also gain access to a flurry of business solutions from Globe myBusiness. Click on https://mybusiness.globe.com.ph/solutions to learn how better run your online shop.